Located within the Metropolitan Borough of Wigan, Leigh is a town in Greater Manchester. With a population of around 53,000, there’s a good range of affordable housing in the area. At My Home Move Conveyancing we’ve been developing our knowledge of local markets like Leigh’s since 2001, allowing us to bring a specialist, fixed fee conveyancing service to our clients in the area. You’ll require the services of property lawyers if you want to buy or sell property in Leigh, in order to complete the legal work on your behalf. 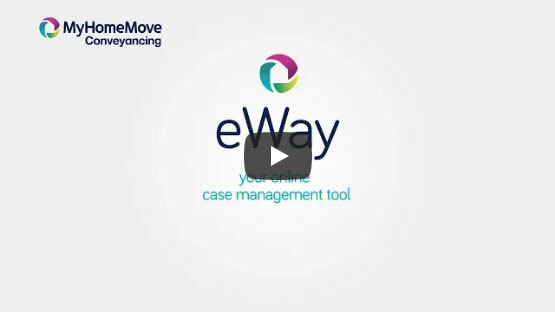 Choose My Home Move Conveyancing to be your Leigh conveyancers and take advantage of our award winning customer service, revolutionary technology and knowledge of the local market. We offer a fixed fee conveyancing service with no hidden extra costs, giving you complete peace of mind. What’s more, if you don’t end up completing for some reason, you won’t have to pay us a thing in legal fees. Choose us for a market-leading, professional and reliable service. We’ll provide you with a dedicated conveyancer, who’ll use their expertise to make moving home easier for you. You’ll get clear, regular updates on the progress of your case, as well as online access to your account. At My Home Move Conveyancing we’re proud to supply our conveyancing services in Leigh across the local area, whether you want to be in the north of town so you’re closer to Atherton with its train station, in the town centre, or in neighbourhoods such as Hope Carr and Firs Lane. The average house price in Greater Manchester is £152,747, while the overall average sale price in Leigh over the last year was lower than this at £116,301. Most sales in this period involved terraced houses, which went for an average of £81,637. Semis fetched £126,125 and detached properties £215,355. In years gone by Leigh was an agricultural area known for dairy farming, it expanded in the 20th century thanks to its importance in the cotton industry. It was connected to the canals and railways, which helped it take advantage of the local coal too. A number of red brick mills remain to this day, although Leigh is mainly a residential town in modern times, benefitting from its strong position in the northwest of England. Not far from Wigan, Leigh is also less than ten miles from the centre of Manchester. Unfortunately, the town doesn’t have its own train station, with the closest being in Atherton a few miles away. There are direct services from here to Manchester Victoria station which take around 25 minutes. The M6, M60 and M62 motorways can all be picked up close to Leigh, while Manchester Airport is around half an hour’s drive. For families with young children, there are plenty of schools in the area to choose between, including Leigh Junior School, Leigh Central Primary and St Joseph’s Catholic Primary on Mather Lane. The local secondary options include Bedford High and Westleigh High, which is a specialist technology college, while there are also schools in nearby Atherton, Lowton and Astley. All properties in Leigh will fall within one of the following council tax bands.